There is an estimated 1.7 million properties nationwide – providing homes for at least 4 million people – that are managed by Registered Social Landlords (RSLs – often referred to as Housing Associations). 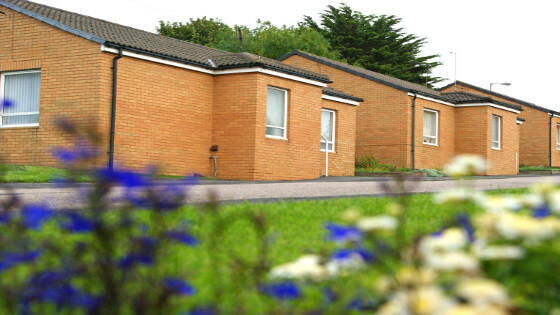 In order to effectively manage their housing stock and provide a wide range of services to their residents, RSLs maintain a wealth of information, such as simple address databases, payment details, maintenance records and asset databases. Most of this information has a geographical element. In order to address this need, GGP Systems offers a start-up geographical mapping PC package to help housing organisations to improve the management of their properties and services. The package includes licences of GGP Systems’ Geographical Information System (GIS), together with a complete installation, training and support programme to ensure the effective use of GIS and map-based data throughout an organisation. Housing Associations can now make use of OS Open Data. OS OpenData is the opening up of Ordnance Survey data as part of the drive to increase innovation, and support the government’s ‘Making Public Data Public’ initiative. The wider use of geographic information (GI) will support greater transparency and accountability within government and lead to better services for citizens. It will also enable businesses, communities and individuals to make greater use of GI, which will in turn benefit the UK economy. View: scroll and search through Ordnance Survey mapping in scales ranging from the whole of Great Britain down to street level showing individual buildings. Develop: use Ordnance Survey’s mapping API (Application Programming Interface) OS OpenSpace to create interactive web maps. Supply: get hold of the whole range of OS OpenData mapping either by directly downloading it or by ordering your required data on a DVD. Use this part of OS OpenData if you want to manipulate data in a geographical information system (GIS). You can download free GIS software from a range of sources online. OS OpenData products available are subject to the OS OpenData Licence. This licence corresponds to the terms used for data available from www.data.gov.uk. Use of the OS OpenSpace API is subject to the OS OpenSpace developer licence.